The Bag Boy T-650 wheeled travel cover offers new features for 2017, which include a lockable, full wrap-around main zipper that simplifies access and packing; deluxe in-line skate wheels that provide smooth rolling action and reinforced corners for excellent durability. The T-650 wheeled travel cover also features an ergonomic neoprene handle and an oversized shoe pocket. 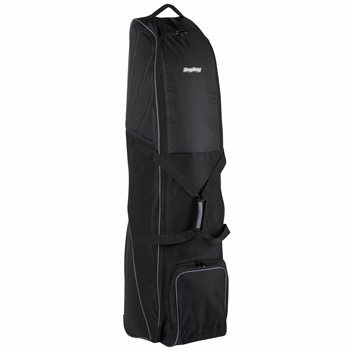 It fits up to a 48-inch driver and most stand and cart bags.